Unlike other generic mobile apps, get a custom branded, mobile app with your shop name for your customers to place orders from anywhere at anytime on their iPhone. According to Pew Research over 77% of all adult Americans have a smartphone. According to eMarketer, smartphones and tablets promote e-commerce by extending the shopping day and untethering consumers from the desktop or the store. Offer payment options via Paypal or by Credit Card. Manage content for the app in a similar manner to managing your GotFlowers website – through the centralized administration panel. All business rules and delivery fees setup for the website are reflected in the consumer app as well. 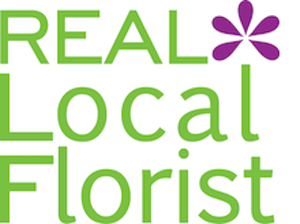 Promote your brand – Unlike other mobile apps for florists in the market, this app is dedicated to your business and is not shared with other flower shops. Your app will be available on the Apple App Store. Flexible Payment Methods – In addition to PayPal or credit cards, we extend the great buying experience with Apple Pay*. 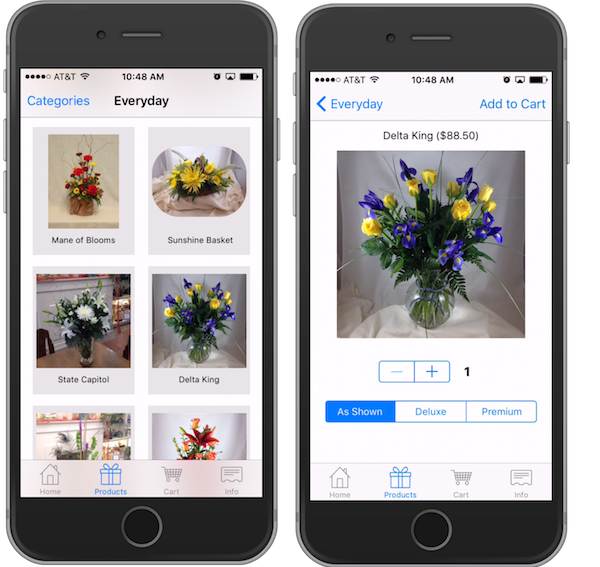 Unified Environment – GotFlowers is the only platform that supports website, POS and a mobile app for buyers. Why does this matter? It matters because you no longer have to set up and maintain an entire new database for this mobile sales channel. With GotFlowers, you set up and maintain only one database. Not only is that quick and convenient but it also avoids errors. 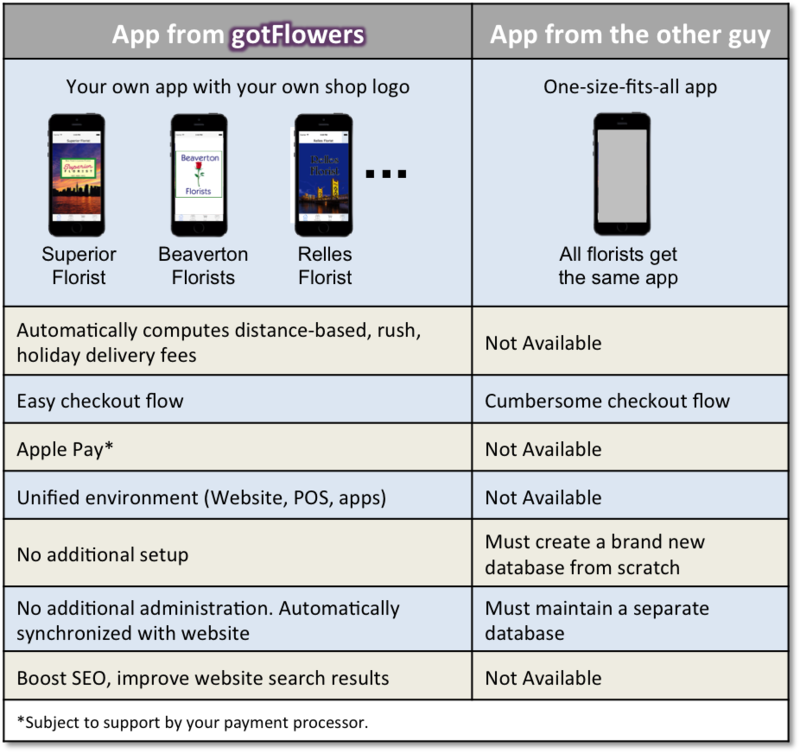 Good for SEO – The consumer app is fully integrated into the GotFlowers platform. The GotFlowers platform is set up to provide another source of valuable content to Google search engine. As the result, your website ranking is improved. * ApplePay can be activated and is subject to support by your payment processor.